He left high school due to circumstance. 66 years later, Norm Knuth gets the pomp he deserves. DENMARK—Shortly after starting chores in a slightly humid summer sun, three children hear a familiar high-pitched droning in the distance. With excitement they drop what they’re doing and head to the edge of the lawn, their eyes fixed on the sky above as their father’s single-engine airplane comes blaring into the fore. Hands stretching into the air, the three send a collective wave, their gesture returned by the pilot in the form of a quick wiggle of the wings, drawing gleeful cheers from the kids looking upward. Right as the grins reach their peak, the plane turns to make another pass. It’s not a detached command from on high, though—Norm lands on an airstrip across the road and joins his family in the parlor and the barn before heading in for supper. Under the circumstances of birth, farm kids are raised with responsibilities to uphold in dutiful obligation to the whole family’s well-being, continuing to solidify that which has been built on the sweaty brows of preceding generations. Of course, responsibility is seldom a child’s favorite toy. “I hated it,” says Sheri Kittell, one of Norm’s two daughters, about childhood farm work. 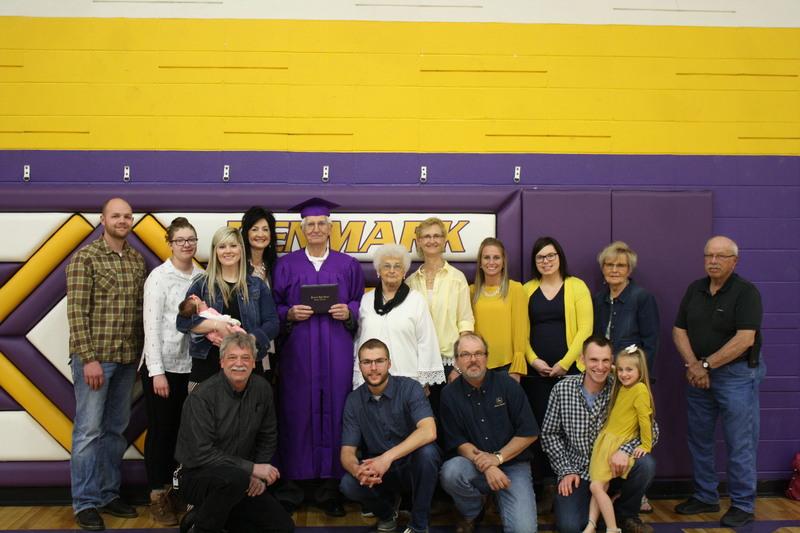 Her words echo Norm’s decision in the early 1950’s to dedicate himself to the farm in lieu of completing his high school diploma. “Back then there weren’t bulk tanks or side loaders or any of that,” requiring intense manual labor which would be done by more expensive hired help in his absence. That’s not to imply his decision was foolish. 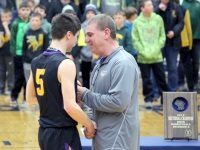 Knuth consistently earned recognition as a dairyman, at times topping all of Manitowoc County—then a national dairy leader—in per-cow milk production as a member of the Lake To Lake Dairy Cooperative, often hiring high schoolers for work in the summertime. Some of those workers faced situations akin to their temporary employer and viewed high school graduation as a roadblock to immediate job opportunities. 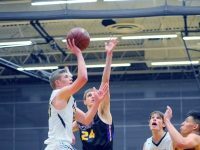 “He would always tell them to stay in school, finish their diploma, and then worry about the rest of their lives,” Sheri says. Norm’s eyes have always had an upward tilt, though—encyclopedias about an array of warplanes captured Norm’s imagination as an 11-year-old boy during the second World War. 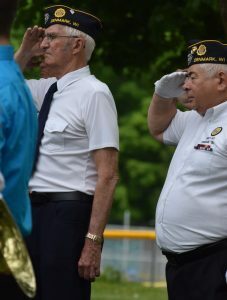 Norm was able to make his way into the military by enlisting with the United States Army Reserve program, where he performed weekend clerical work in Manitowoc for about six years. Still living and working on the farm, Norm began taking flying lessons in secret under the guise of Army obligations to avoid his father’s knowledge and (therefore) without his mother’s worried protests. In an unexpected way, the Army helped make Norm’s childhood dream come true. Though his two-seat Citabria did not have any guns, shots were taken when Norm partnered with longtime friend Don Steinberger to create Prestige Aerial Photos. “We’d go around up there and just kind of look to see what might work,” Norm says, he in the cockpit and Steinberger in the second seat behind him, pointing a special camera downward over the edge. “Problem was, once we got them developed we’d have to remember where it was,” which led to long, winding, sometimes fruitless searches for the farms they had captured from above. In pursuing his childhood dream and enjoying the journey without charting an exact destination, Norm showed Sheri and Robin that one’s dance with knowledge never truly ends. 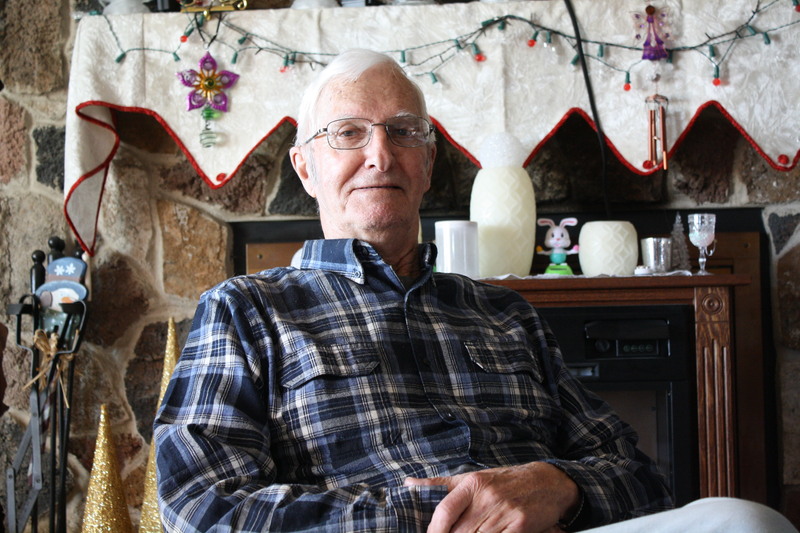 Norm frequently spends time with his multiple grandchildren and three (soon to be four) great-grandchildren, giving a welcome outlet for his clever humor and razor-sharp wit. “At this stage in my life, I call it my second childhood,” he jokes. 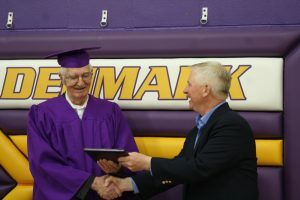 On Sunday, following Sheri’s nomination, Norm accepted an honorary diploma from Denmark High School. Leaving school in 1950 was not the assured disaster it may be today, especially when beginning an agricultural career. “It’s something I always wished I would have been able to do,” he says. Whereas his boyhood wish of becoming a pilot was fulfilled through his personal determination, the wish of Norm’s second childhood came true because of what his determination inspired and the lives which it has improved.